Every Thanksgiving, do you share what you're most thankful for around the dinner table? 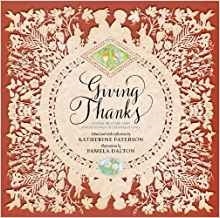 Explore these titles discussing gratitude through poems, quotes, humor, and more from our digital collections. 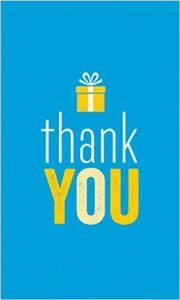 I can no other answer make, but, thanks, and thanks, and ever thanks.-William Shakespeare, Twelfth Night Everyone needs a little help from their friends from time to time, and we all know people who deserve a great big "THANKS"! This collection of heart-warming and thought-provoking quotations is the perfect gift for those who've helped us out in any way. Big or small. Gratitude is partially an individual, emotional response to our circumstances, but research has shown that what we often miss is how much more it is a communal, actionable response. 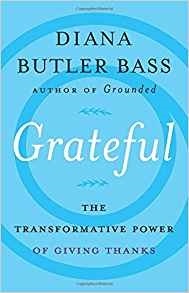 Bass examines this more unexpected experience of gratitude, and reveals how people and communities can practice it and thrive, whether or not they are part of a traditional religious community. Fatherhood caught David McGlynn by surprise. His sons arrived in quick succession—the first when the author was a dirt-poor student and the second not long after he'd moved his family across the country to start a new job in bucolic Wisconsin. As a result, McGlynn found himself colliding with fatherhood, at once scared to death and utterly thrilled. Just like many new fathers, he hopes he's doing the right thing—but he's never quite sure. 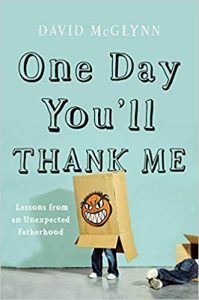 One Day You'll Thank Me translates the small, often hilarious moments common among parents of young children, especially dads, into "life lessons" about fatherhood.